close to signing a book deal on how to be the perfect party hostess. The sisters' parents, Carole and Michael, were widely criticised for appearing to promote their party business on the back of the Royal Wedding earlier this year. Pippa's advisers will also be careful to avoid the pitfalls of Paul Burrell, Princess Diana's former butler, whose book on hosting parties, Entertaining With Style, was published in 1999. There is an alternative. She’ll always be Kate’s sister. Why not simply be proud of that, avoiding anything that appears to exploit this happy stroke of fortune? A month later, the Mail on Sunday's Katie Nicholl reported that a £400,000 deal had been signed for the book. Pippa Middleton seems a lovely girl, but not the sort who could teach anyone very much about anything. And I can’t imagine the Queen will be best pleased that the ambitious sister of the Duchess of Cambridge has trousered £400,000 for her first book, a manual on entertaining. But never underestimate the Pippa! A sneak peek of her hostess with the mostest party tips tome reveals the following nuggets: 1. To be a social hit, make sure you have the right equipment: a lovely big sister. 2. Get her to marry the heir to the throne. 3. Remember, bumpkins, it’s napkins, not serviettes. 4. Serve the peanuts before the pud. 5. Is there a hyphen in cash-in? 6. Can I have my money now? have an unsettling air of snootiness about their behaviour. Why, for example, were Pippa and her brother James in the royal box at Wimbledon last week? Not because of their party-planning and cake-baking credentials, that’s for sure. Pippa is now about to release her own party-planning guide, for which she’s said to have secured a £400,000 publishing deal. If it wasn’t for the royal connection, she’d be lucky to be writing recipes for the Bucklebury parish magazine. In July, the Mail published an article (headline: 'Gold medal for cashing in goes to...' etc) about the Middleton's company Party Pieces, claiming it may have been in breach of Olympic advertising rules. When they were given the all-clear, the Mail failed to update its readers. This followed attacks on Party Pieces for their Jubilee merchandise ('could they have been a bit less tacky?') and for 'cashing in' on the Royal Wedding. Exclusively in this weekend’s Mail on Sunday, you’ll find the first part of Pippa Middleton’s glorious guide to simple, creative entertaining, from her sensational new book – Celebrate: A Year of British Festivities for Family and Friends. This weekend we have 24 glossy pages of magical Hallowe’en tips and brilliant bonfire night ideas. Can Her Royal Bottomness really have received a £400,000 advance for this tripe? And how much more did she receive from the Mail on Sunday? The paper refers to 'statins' as a 'wonder pill'. 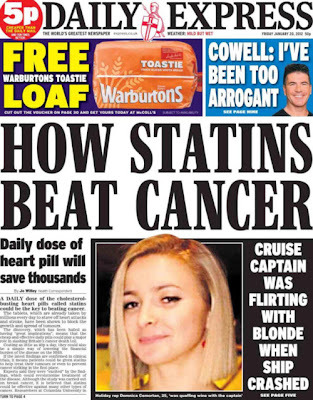 On 20 January their front page also reported that 'statins beat cancer' as did a story from 14 September. 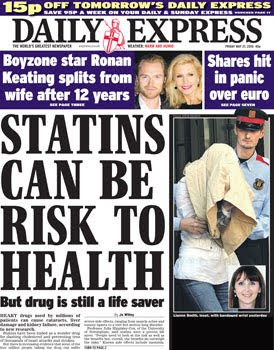 A couple of weeks ago, statins could 'prevent blindness'. 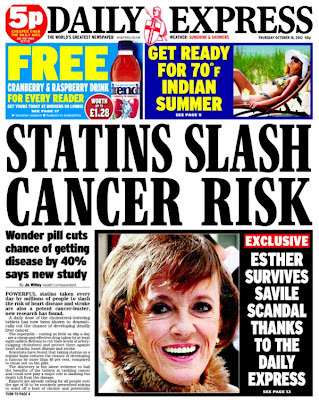 On 4 April they published 'wildly exaggerated' claims that statins could 'halt Alzheimer's'. potentially dangerous side-effects of statins. Powerful statins taken to slash the risk of heart disease and stroke are also a potent cancer-buster, new research has found. This meta-analysis suggests a favorable effect of statins on HCC, in the absence, however, of a duration-risk relationship. Dr Safia Danovi, Cancer Research UK’s senior science information officer, said: “This is interesting work but it doesn’t mean that cancer patients should start reaching for cholesterol-lowering drugs. Following on from the 'ban on milk jugs' that wasn't, the EU has now been accused of banning people at village fetes from selling jam in re-used jars. They are the backbone of church fetes, village fairs and jumble sales all around the country. But the thousands who regularly sell their home-made jam, marmalade or chutney in re-used jars may have to abandon their traditions after a warning that they are breaching European health and safety regulations. The great British tradition of selling home-made jams and chutneys at fetes could be a thing of the past – thanks to meddling Brussels bureaucrats. It seems the recycled jars generally used by jam-making enthusiasts are in breach of European health and safety regulations. Recent media coverage on reusing jars for homemade jams for sale at charity events certainly fired up the imagination of the headline writers: “EU elf ‘n safety tsars ban jam sales at fetes” and “anger spreads over EU fines threat for reusing old jam jars”, “EU fine for homemade jam makers”. This is all completely untrue. There are no EU laws, new or old, which ban re-using old jam jars for fetes. The EU also has no powers to fine people. There is indeed a body of EU food safety and hygiene legislation – notably so that the UK and other countries can be confident that food imported from or bought elsewhere in the EU is safe and of high quality. But these rules apply only to business operators and not to those preparing food for charity events such as church fetes or school bazaars. What is more, the rules do not anyway ban re-using clean jam jars: the European Commission is not aware of any risk from chemicals related to this re-use. 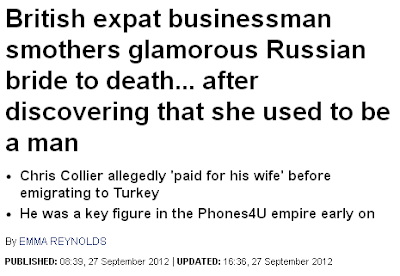 The Express then span this into a ridiculous story about “meddling Brussels bureaucrats”. The Mail did at least mention that the FSA had said enforcement was down to individual local authorities…but left this until paragraph 7 of a story misleadingly headlined “Anger spreads over EU fines threat for reusing old jam jars.” The Telegraph then had another piece – at least it was an intentionally funny one – blaming EU Directives after all. While BBC Radio 4 You and Yours covered the story sensibly, BBC Breakfast ran an item that assumed wrongly that the EU has banned jam jars. None of the media who produced these seriously misleading stories contacted the European Commission first. No contact with the EC, but both the Mail and the Express did find room for a quote from The Great British Bake Off's Mary Berry. HARRY STYLES is a creature of habit - he's charmed another blonde cougar called CAROLINE who works in telly. The ONE DIRECTION star kissed and flirted with roving ITV reporter CAROLINE WHITMORE when she interviewed them at the weekend. They couldn't stop giggling over Harry's soft spot for Carolines who work for the station - as it's just four months since he split from ITV2 host CAROLINE FLACK. The rest of the lads repeatedly joked it wasn't the first time the pair had got together as Caroline has reported from his home village of Holmes Chapel in Cheshire. A source said: "Harry was the only one of the boys to kiss her - and he did it twice. "That started the rest of the boys teasing him in front of her saying things like, 'Ooh - a kiss for Caroline. It wouldn't be the first time'. "Harry tried to brush it off but the lads kept teasing them and making funny noises and dropping hints they were an item." Harry - who performed at Party in Leeds yesterday, right - didn't do too much to calm his bandmates. He turned to Caroline during the chat for Liverpool's Radio City Live and winked: "Don't I recognise you from somewhere?" Caroline said after the Saturday night interview: "He was very sweet. He was the only one to kiss me and twice! He did blush." One of her pals messaged her on Twitter: "Harry's grown up from when I met him in 'your' studio a couple of years back - eek!" It is unlikely Caroline's husband STEVE WHITMORE will be too happy she's gushing over Harry. Caroline wed Steve in 2010 and has been with him 17 years - almost as long as 18-year-old Harry has been alive. And although Harry likes his older ladies - before dating Caroline Flack, he had a fling with married radio DJ LUCY HOROBIN, 32 - I'm sure he'd draw the line at the Granada girl in her panto gear as a crone, inset above. Flirting with 1D can prove dangerous for women in serious relationships. RUTH HICKS revealed she was dumped by her fiancé after he spotted photos of her giggling with NIALL HORAN. I'm sure Caroline's husband will be be more understanding. In July, we reported how ITV's Caroline Whitmore interviewed One Direction with the usual round of showbiz pecks on the cheek for Caroline from all the lads, including Harry Styles. There was nothing more to it than that and we apologise to Caroline for any suggestion to the contrary. In the original, the Sun didn't report 'all the lads kissed her'. It is also very doubtful that 'kissed and flirted' is a normal way of describing the 'usual round of showbiz pecks on the cheek'. "The Sun has stated that the article was intended as light hearted. However, some readers seemingly understood that in referring to Mrs Whitmore as a 'cougar' and linking her to Mr Styles, the newspaper was seeking to suggest she had behaved inappropriately by pursuing a relationship with a considerably younger man, notwithstanding her being a married woman. "The Sun has stated that no such meaning was intended. Such reading was particularly damaging and distressing to Mrs Whitmore, since she has been with her husband for 17 years and married for the last two. "The article has also been repeated and expanded upon widely by the worldwide media. As a result, Mrs Whitmore has been the subject of abuse on the internet, including on her Twitter page." Following Gavin Martin’s music column in our edition of August 17 concerning Bo Bruce, the daughter of the Earl of Cardigan, we would like to make clear that the Earl of Cardigan has never been treated himself in relation to any drug or alcohol problem. We also incorrectly stated that the Earl had checked himself into the same facility that Bo Bruce was treated at and married a nurse who was working there. The Earl’s wife has never been a nurse and we apologize for these errors. Actor Nicolas Cage has won an apology and 'undisclosed damages' from MailOnline after an article published on 1 September called him a 'tax evader'. "My client has secured a complete vindication of his reputation following the publication of a categoric retraction by the MailOnline for what they immediately acknowledged was a completely unfounded and defamatory allegation of tax evasion. "While my client acknowledges the MailOnline's prompt apology, which was one of the quickest that I have negotiated in recent times, together with the payment of undisclosed damages and his legal costs, he nonetheless remains very concerned that such a false and outrageous headline should have been published in the first place." On 1 September we wrongly referred to Nicolas Cage as a “tax evader”. While Mr Cage has owed a substantial sum to the IRS for unpaid taxes, he has never been accused or found guilty of any tax crime. We apologise to Mr Cage for any distress and embarrassment caused by our error. 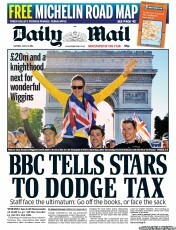 A front page story and editorial comment on July 23 wrongly suggested that the BBC was instructing its staff to set up personal service companies in order to avoid or evade paying the correct amount of tax. While it is true that the BBC have asked hundreds of workers to set up personal service companies, we accept that neither the BBC, nor its Chief Financial Officer, Zarin Patel, have told members of its payroll (or freelancers) to avoid or evade tax and apologise to them for any such suggestion. Needless to say, this did not appear with the prominence of the original and was not published on the front page.